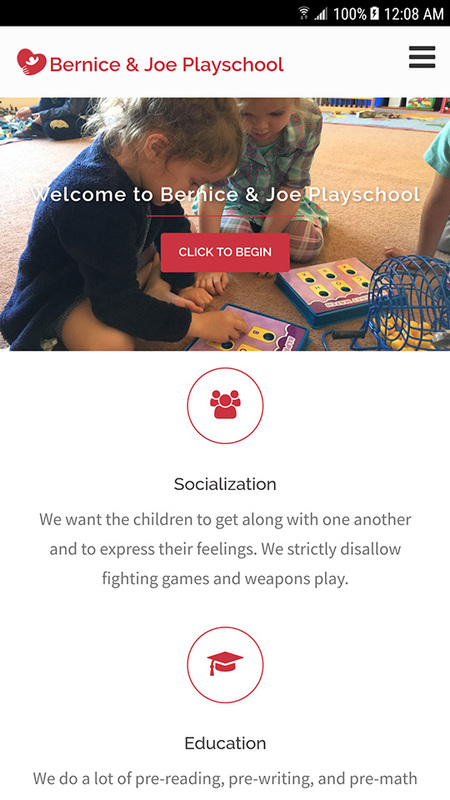 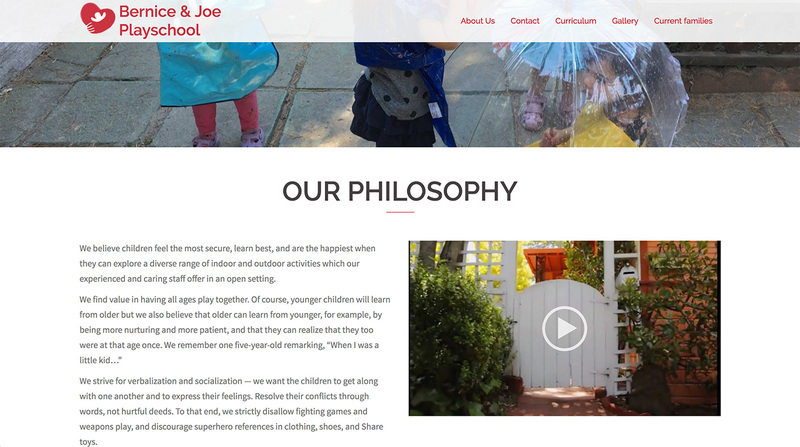 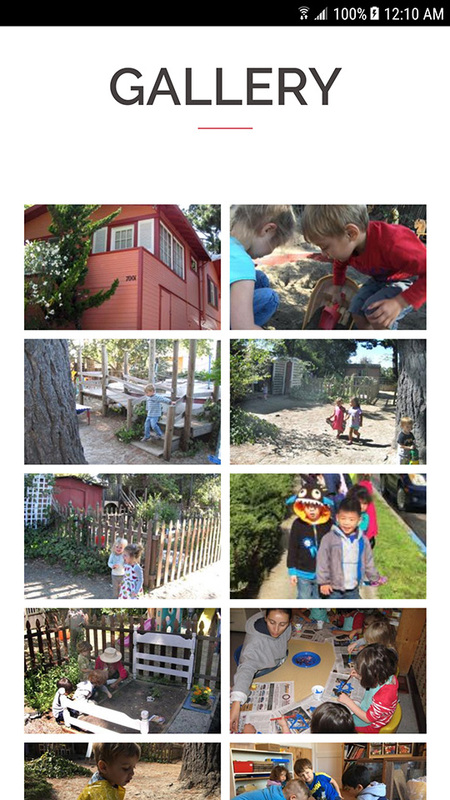 Local Oakland pre-school, Bernice & Joe Playschool needed a new, secure website quickly after their previous one unexpectedly went down. 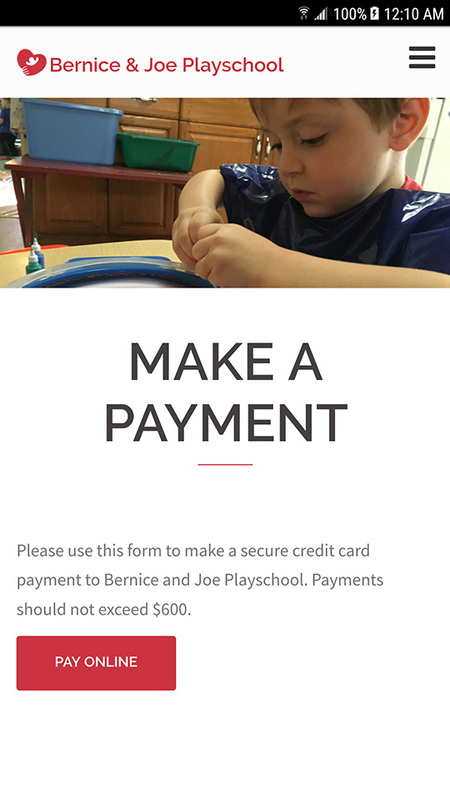 Working at breakneck speed, I created a new logo, updated branding and alongside my fabulous developer, we built out a new, secure website that allowed the school to accept payments online from students’ parents and serve as an informative resource for them. 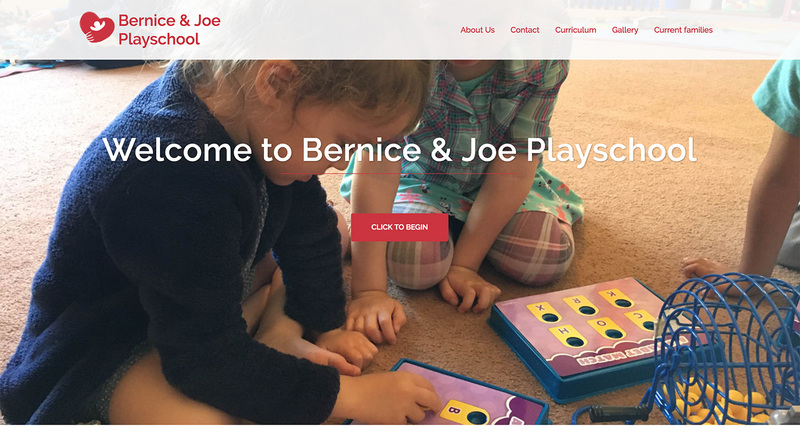 Since the completion of the new site, the school has seen an increase in parent satisfaction, more tuition payments made on-time, and enrollment at capacity until the following school year.